After sending out my farewell letter, I received a message from one of my friends that Ben Sherwood the president of ABC News had read my farewell letter aloud during one of the morning production meetings. Not too long afterword he called me to talk and tell me had read my letter. I felt like I was literally on cloud 9. 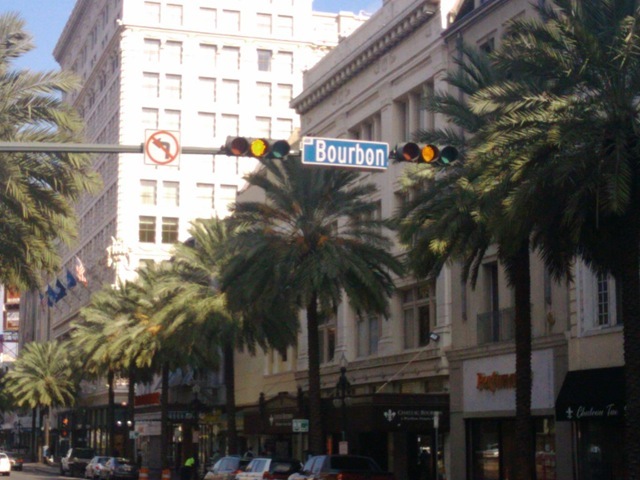 My internship ended and during my break I travelled to New Orleans for the Excellence in Journalism Conference. It was a chance to reconnect and with some old friends and meet some new ones. New Orleans is an amazing city full of music and good food. I learned a lot attending the different workshops and met some of my fellow ABC News colleagues. What ABC News colleagues if my internship is over? My internship did end but I a week before I left for New Orleans I was offered a position as a desk assistant at ABC News. I was shocked and surprised by the offer, but readily accepted it. As I mentioned in my previous post, it had been my dream to work at ABC News. Now that dream has begun to come to fruition. I firmly believe that hard work does pay off and in my case it did. My dream is beginning to happen. Service and curiosity. Those two ideals are the best way to describe Sarah Paulsen. Paulsen is a print journalism major at Cal State Fullerton. Although it is her major it is not her calling. In high school Paulsen went on several mission trips. She traveled to Chile five times and to Mexico four times all the while balancing her classes and her work for her high school newspaper. Now in her early twenties, Paulsen sat down for her interview with the Daily Titan wearing a light blue sweater and a light gray hat with a short brim that almost was similar to the design of an engineer’s cap. From underneath her cap brown hair gently flowed down the sides of her head well past her ears and just past her shoulders. Her clear skin seemed to glow in the flourescent lights as she spoke. Beneath her wire rimmed glasses her brown eyes suggested a deep self-confidence and sense of purpose because her eyes never seemed to waver as she spoke, but her eyes became animated and her voice hinted at a sense of excitement as she talked about her writing. Her non-wavering love of writing has helped her in her forward trajectory from a high school missionary to journalism student. Her love of writing was, in fact, the primary reason for her decision to major in journalism. Even though Paulsen is majoring in journalism, she is not a student at CSUF She is,in fact, a student at Hope International University a Christian school, which resides across the street from CSUF. She is attending classes at CSUF through a cross-enrollment agreement between the two universities. Paulsen originally did not major in journalism instead she studied the ministry because she originally wanted to be a missionary but her love of writing got the best of her and she changed her major. “ I started going to different countries, but I changed my mind and decided to stay here and write,” Paulsen said. In her first two years of college Paulsen served as both copy editor and features editor for the Hope International Tribune. Of the two she loved feature writing because of what she could do with it. “ I felt I wanted to write stories about people and things that have a positive impact,” Paulsen said. Still, she is not picky about the stories she writes about as in everything she does her love of writing has influenced her in this area as well. “ I love writing, so I could write about anything…even something small. Even if its not a popular story I would write about it,” Paulsen said.